I have already written about the announcement of the new IBM MQ Appliance M2002 which is generally available today (July 27th 2018). It is an amazing bit of kit, and already has demonstrated some staggering performance figures. But you may well be sitting there reading this going “so what”? Why would I want a physical appliance? Surely this is enterprise middleware software, so I simply build an image, configure it and deploy it on a server, either somewhere inside my enterprise, or in a public cloud. And that is a perfectly valid question. And selecting to deploy software on servers, perhaps in a VM or a container is certainly the typical choice of deployment model these days. And IBM is doing what we can to make that style of deployment easier, simpler and yet more powerful as well. So, given all that, why might you consider and choose a MQ Appliance? Most importantly, it is a choice. It provides an alternative. One of the benefits of the MQ Appliance as an alternative is that it provides a lot of benefits enabling the use of a very powerful MQ configuration without a number of the costs and burdens that otherwise might be associated with such a deployment. And although it might initially look expensive, it is important not just to realize that the price includes state of the art hardware, but that along with that, there are a multitude of benefits which make the MQ Appliance actually a lower cost alternative to many other software deployment configurations. Many businesses using MQ have one or more highly skilled MQ administrators, who have, over the course of a number of years, built up a rigorously controlled MQ environment where individual Queue Managers are carefully deployed and managed for significant periods of time. While this is effective, it can also be limiting, as each environment becomes bespoke and dependent on the skills only available in the team and become restrained to the specific deployment environment which is tuned to fit that particular need. Problems in this type of deployment arise when one of the key resources is no longer available for some reason. There can also be significant disruption at maintenance time, and when moving machines for lifecycle reasons. In the same way it becomes very difficult and time consuming to try and add to the system either to provide additional capacity to the existing applications or to support new applications as the MQ environment is very strong, but not very agile and responsive to change. And one of the problems is that with IT infrastructure, change is continuous. Servers need regular attention, with new OS or firmware patches required, and new hardware needing to be purchased and deployed that is always slightly different to the existing deployed systems. The MQ Appliance is designed to provide a very strong and resilient MQ environment, primarily for production environments on premises. And it does this without requiring a highly skilled MQ administration team to design, configure, deploy, maintain and operate the MQ environment. There is no need for what can turn out to be months of optimization and tuning of the MQ environment, as the MQ Appliance gives you optimized Queue Managers out-of-the-box. There is no need to disrupt operations as an operating system or firmware update is scheduled. With no need to then have another disruption as a separate patch is applied to MQ itself. Instead the MQ Appliance is updated with a single firmware flash, updating all aspects of the appliance including MQ in a matter of minutes. Unlike with servers where each machine might be different, each generation of MQ Appliances are identical, and will have exactly the same counterpart in IBM itself for development and testing of each firmware update. No more differences between systems. No more ‘install and hope’ that your environment is close enough to the supported environments for that version of MQ. And if the MQ Appliances are defined as a Highly Available pair, then both appliances can be updated to the latest level, with no down time, in less than 15 minutes. With the MQ Appliance there is no risk that malware or additional code will be placed on the system as it is completely locked down. The only code that can be added to the MQ Appliance is the signed firmware updates that are downloaded from the IBM systems. And with MQ AMS included in the MQ Appliances, all messages flowing through the MQ Appliance can be encrypted end-to-end, simplifying audits, and helping to protect data from breaches, and to help meet GDPR requirements for data protection. Even High Availability becomes much easier with the MQ Appliance. With each MQ Appliance able to run as a self-contained solution with local storage inside the appliance (the M2002A provides 6TB of SSD storage), it is trivial to set-up replication between 2 appliances. This offers a very easy solution to meet high availability needs, with no external dependencies, and literally just a 2-click setup. One of the outcomes of this benefit is that it makes it very easy to deploy MQ Appliances in remote locations, where MQ might be needed in HA configurations, but there aren’t any local skills to setup and maintain a complex network attached storage environment. Imagine therefore you have MQ running today in an existing environment. Your hardware is old and needs replacing, and so you would need to start planning and evaluating for new hardware. Then there is the issue of how long it will take to order and configure the hardware, which is likely to be done by a different team to the MQ administration team. Once that is setup then there is the issue of what is the standard environment for that type of system? What other software needs to be installed, and then what is the maintenance program for the hardware, OS and other software. All that before installing a version of MQ, configuring it, and then figuring out how to move the existing MQ configuration and runtime across, once sufficient testing had been done. Or you can simply select the MQ Appliance. It comes as a choice of 2 models offering different levels of processor capacity and storage capacity. And you can upgrade from one model to the other with a command. Then you install it into the rack, cable it into the network. It will already have the latest version of MQ and as you create Queue Managers they will be allocated a protected share of the Appliance resources. If you want to configure the Queue Manager as Highly Available, it’s as simple as identifying where the other appliance is on the network. You want to have Disaster Recovery as well in a remote site – again as simple as connecting to that appliance. The MQ Appliance is a simple, secure, reliable and powerful way to deploy, run and maintain IBM MQ in your on-premises environments. Suitable for consolidating your existing MQ infrastructure in your data center, or deploying new MQ capacity in your data center, or in remote locations. The MQ Appliance works well if you have existing MQ systems, or if the MQ Appliance is your first MQ system. It’s good to have a choice. Especially if you choose the IBM MQ Appliance, with the M2002 model available today. What is GDPR and how does it affect IBM MQ use? Imagine as a business that you were given the opportunity to grow turnover by 4%, at a stroke, or to increase revenue by €20 million. This would be certainly a key focus area. Well, there is good news and bad news, because these figures are accurate, and can apply to your business, but they are fines that will be applied to your business if you are in breach of the GDPR regulations that will be enforced in May 2018. And your business will be liable for whichever is the greater amount. As such, it is a subject that demands attention. And it can apply to any business if it concerns the personal data of EU citizens, even if your business is not based in the EU. GDPR is a complex piece of legislation, and not one that can be solved through any one single act or solution. 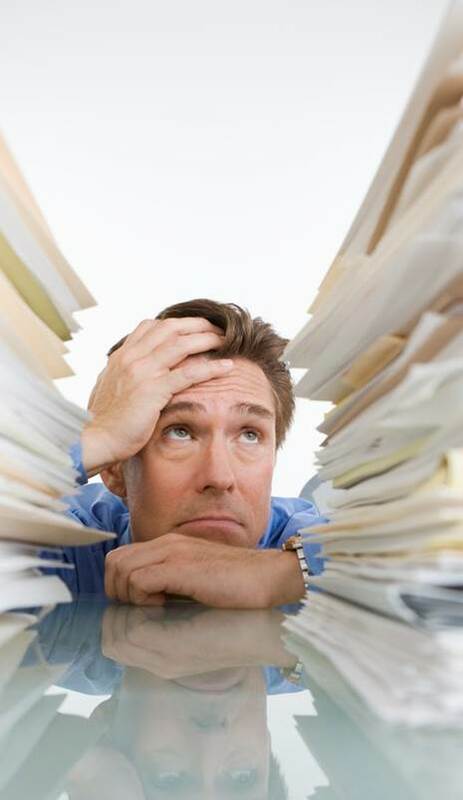 It requires understanding of the legislation, and then a thorough review of existing governance and processes, especially those involved in data handling and security, and ensuring that all people involved in all these aspects are aware of changes being made, and why these are important and must be complied with. Amongst the key criteria for GDPR compliance are a number of aspects that are likely to need to be reflected in the choices made in MQ deployment to help to meet the compliance needs. However, it must be understood that taking this action around MQ alone will not achieve GDPR compliance, but simply be a part of that compliance. Given that GDPR is concerned with data protection, it should be clear that data privacy is key in reaching compliance. This isn’t the only aspect, as there are multiple additional aspects such as the ‘right to be forgotten’ providing a requirement to remove data, and also the need to track the movement of data through all systems. Considering all these aspects together, it should be clear that reducing the movement of data to modes of transport that allow for end to end encryption, as well as logging, reporting and monitoring for the movement of data are likely to be seen as essential to aid in GDPR compliance. Using end-to-end encryption could be the only way to protect personal data wherever in the organization it moves, as it moves as it reduces the need to ensure control of all intermediate systems to protect the data. End-to-end encryption can help to demonstrate privacy by design as part of your compliance verification process. IBM MQ can be configured to log all messages and accesses which can be used to track all movement of data, and who had access to it. Building new tools using the REST API for MQ admin to offer a custom view of MQ configuration and operation could be a critical aspect of generating reports on data movement and protection. Holding and moving those files around your business could add further vulnerabilities. File data needs to be handled and managed with the same care as application data as it is just as likely to be personal data that needs to be protected. As mentioned at the start, there is no single solution that can address all the aspects of GDPR within your business. Ensuring your MQ environment is configured to securely move data with end to end encryption, with comprehensive logging and reporting of messaging access and movement can be a critical step in the wider compliance task. Work with your IBM representative to ensure you hear more about the benefits of MQ Advanced entitlement to allow your business to move file data and to encrypt messages and data end to end, and thus reduce the risk of data being exposed in a security breach. Or review whether the MQ Appliance would be a good fit for your business, providing the same benefits in end to end encryption and file data movement. When is a wall a great wall? When it’s a firewall? Today is June 6th – and the 73rd anniversary of the D-Day landings in Normandy in World War 2. There were 156000 soldiers landed who attacked the defences on those beaches – the dreaded Atlantic Wall. But they had been preparing for this and had even built walls to practice assaulting, such as the one shown above in Hankley Common in Surrey (down the road from where I live). Not all walls can withstand assault. But they are almost all built for a specific purpose – to provide safe and secure separation. This holds true for today’s firewalls as well as historical defensive walls. Hundreds if not thousands of IBM’s customers use IBM MQ to communicate with business partners or separate parts of their own businesses beyond their enterprise firewall. There are a number of ways to do this – including deploying MQ Internet Passthru (MQIPT), opening ports for MQ connectivity, or deploying MQ servers in the DMZ. Not all DMZs are quite as scary or indeed obvious as the one separating North and South Korea. But they exist for good reason – to protect what’s behind the firewall. There is a huge cost associated with data breaches. The issue some customers have with deploying MQ servers in the DMZ, is that this can lead to messages being persisted to disk in the DMZ – and while devices like IBM DataPower appliances are designed to run in the DMZ this is because they are, on the whole, stateless with no information persisted. This is not the case with IBM MQ, and thus the data on the disk in the DMZ poses a concern due to the increased risk in this environment. This is the primary reason that MQ IPT is used – to avoid the persistence of MQ data here. IBM doesn’t prevent customers deploying MQ Servers or indeed MQ Appliances in the DMZ – despite typically recommending that customer choose not to do that – there is no impact in terms of their IBM contract or support if they do – this deployment of IBM MQ is still supported – but IBM wants to make sure that customers consider the implication and risk of this (as we do with all their MQ deployment choices – as this is typically critical for their business). Our concern with the deployment of the MQ Appliance into a DMZ has been that due to being based on the DP hardware customers might see it as addressing these concerns and deploying it as a secure solution to DMZ deployment – whereas the fundamental issue of persisted data still exists. This can be mitigated in various ways such as the end to end encryption of AMS included in the Appliance – but there is no absolute lock-down of the Appliance and therefore we have that statement included in the documentation to ensure that customers make their choice knowingly. There are therefore a number of different options to allow the movement of MQ messages through the firewall without it going horribly wrong. Customers can deploy MQ or the MQ Appliance into the DMZ if they want to – taking the precautions that are sensible to mitigate risks. IBM will support them with PMRs they raise, but we would work to ensure they are aware that they can be increasing the risk of data compromise and that they should take steps to lock down the environment as much as possible, and use MQ AMS for end to end encryption if using MQ Advanced or MQ Appliance. Walls are essential, but the best walls make the best neighbours, and with IBM MQ deployed successfully and securely, you can ensure your firewall is a great wall, but that it doesn’t lock your business in – but helps it to grow with safety. Some of you reading this blog may recall the great athlete Ed Moses – who had a record 122 race winning streak in just about the hardest event – the 400M Hurdles. You need to be strong, fast, and agile just to compete, and to keep winning you need to be reliable. Well, this is how we view IBM MQ, especially with the latest release – IBM MQ V9. You may have seen a recent blogpost on here that had a Statement of Direction talking about a new way of delivering IBM MQ – one that provided a Long Term Support release, and a Continuous Delivery release. The aim of this model is to give customers more choice to select either highly stable releases with just fixes, or releases that benefitted from additional function in the fixpacks. UPDATE: There is a FAQ on the new support model. Read it here. On April 19th, IBM announced MQ V9 which is the first release that moves to this new more agile delivery model. As such at the initial release it delivers a small set of additional capabilities that will be available to all customers. Then subsequent mod-level updates will deliver even more updates to customers choosing the continuous delivery stream, but all customers moving to V9 will get the benefit of the new capabilities being delivered in this release. As with previous releases of IBM MQ, customers have a lot of choice in where and how they may want to deploy this version. IBM supports deployment of MQ – and MQ Advanced pretty much on every commercial IT environment where business critical applications may be exchanging data reliably, securely, and at scale. This could be on-premise, deployed in cloud environments like IBM Softlayer, Microsoft Azure or Amazon AWS. IBM also supports virtualization with many customers deploying in VM images, and also in Docker containers, which can be deployed anywhere, including in IBM’s Bluemix platform. This flexibility enables customers to make use of enterprise messaging to support deployments on-premise, on cloud or in hybrid environments. So what are the key new features of MQ V9 being delivered in this release? Well there are a number of them that are called out in the announcement letters – so you can read the MQ V9 distributed announcement letter here. And the MQ V9 z/OS MLC announcement letter here. And you can read the MQ V9 One Time Charge announcement letter here. But below I will call out a few of the features that I think will be most important to customers. One of the features likely to be most interesting is a change to the MQ Client Channel Definition Table (CCDT), which is needed by the MQ Client application to provide the channel definitions needed to connect to the MQ Queue Manager. This file is created automatically and prior to MQ V9 needed to be distributed to the client application prior to use. The big change from this new release is that the CCDT can be a web addressable file instead of needing to be distributed out to every client, and to then need to do that with every change. By having a web addressable CCDT accessed by URI, then there are much lower administration needs, and also the MQ infrastructure can be much more dynamic as changes can be made centrally and take effect quickly and without application disruption. The second big change to the new release of MQ is in MQ Advanced Message Security (MQ AMS). This feature, which is a priced extension to MQ (available either separately or as a part of MQ Advanced) provides policy based encryption at rest of the MQ message contents. By using this capability, businesses can be assured that their message contents can only be unencrypted and read by the targeted application destination, and there is no risk of exposure should any security breach take place which provides access to the system or storage where the MQ Queue Manager holds its queues. This privacy and integrity has been assured by the generation of asymmetric keys for every exchange between client and queue manager, which provides an extremely high level of security, but can introduce a high overhead in terms of the processor cost of the asymmetric key generation. With MQ V9, a new mode of operation is added to MQ AMS, called ‘Confidentiality’. In this mode there is an initial asymmetric key exchange then subsequent exchanges can reuse (to an extent that can be configured) a symmetric key. This still provides a high level of security and protection for the message content, but with a dramatically lower level of overhead in terms of encryption workload cost. IBM expects that due to the increasing importance of security and protecting systems and data from breaches, that this new feature of MQ AMS will help more customers protect their message contents and therefore their business and customer data. IBM expects to produce performance data for the new AMS configuration around the time that MQ V9 is generally available. But the early testing shows considerable improvement. A further change for MQ AMS is the support of non-IBM JREs for use with MQ AMS. Previously applications written in Java that relied on a non-IBM JRE wouldn’t work with MQ AMS. In MQ V9 this has now changed so that suitable non-IBM JREs can be used, as well as IBM JREs, extending the ability of more customers to use MQ AMS. There are a number of other new functions and capabilities available in MQ V9, such as updates to MQ Managed File Transfer capabilities – which are described in the announcement letter, and with the movement to a Continuous Delivery model customers should expect to see more capabilities being delivered in mod levels on top of MQ V9 in the future. With the recent announcement of the End of Support for MQ V7.1 – announced here – along with the related end of support of the older separate versions of MQ FTE and MQ AMS, this latest release of MQ V9, along with the recent announcement of the update to the MQ Appliance provides customers with a strong set of choices of how to take advantage of the latest new releases as they plan to move off the older releases of MQ they may be using, keeping their deployment of MQ up to date and supported. When you are taking advantage of the benefits of IBM MQ, you may not need to have to work as hard as Ed Moses did to be #1. UPDATE: Mark Taylor has provided one of his highly useful videos detailing more of the new function in MQ V9. Watch it here. Change is always with us. IT infrastructure needs are changed. Application needs change. Skills profiles change. Even workloads and expected response times change. These changes we see in the market drive how we view our products. We frequently update MQ products, perhaps too frequently for some of our customers. As well as adding to and updating the functions and capabilities of MQ, we also try to update or change the packaging and the pricing of our various MQ offerings. We do this to try to respond to the changing needs of the market and the feedback we get from our customers. As a way of describing this process, we have been recently talking about the different deployment choices available for IBM MQ. Check out this recent webcast on this. The fundamental thought here is that your business should be able to use the value that MQ provides; however you choose to deploy MQ and consume it. The presentation in the webcast highlights a number of different ways in which your business might want to deploy MQ. This could be maybe reviewing the new MQ Appliance as a deployment choice, deploying the complete MQ set of capabilities using MQ Advanced or seeing whether you want to deploy and use IBM MQ in the cloud – whether that is a public cloud like Microsoft Azure or IBM SoftLayer, or a private/hybrid cloud infrastructure running on your own hardware on-premise, using something such as IBM PureApplication. Going back to MQ Advanced, IBM announced on May 26th 2015, slightly new packaging and pricing for MQ Advanced. Included in this announcement were also various MQ Managed File Transfer parts. These parts were updated to reflect the needs of our customers – given their growing use of using Managed File Transfer with MQ. As Senior Product Manager for IBM Messaging I talk to many customers through the year, and one of the constant pieces of feedback I get is about the ever-present need for better handling of file transfers. This is an area where every business has a solution, or 2, or 3 today. No one is happy with their existing offering, and most, even if they are existing MQ customers, are unaware that MQ can help. MQ’s Managed File Transfer solution can read data from a file, and send it as a MQ message over the MQ network. Once received on the remote system, the MQ MFT solution can then recreate the original file, achieving the movement of the file with greater security and reliability thanks to IBM MQ. This can help to address many of the issues businesses have with moving files, while also simplifying their infrastructure and consolidating on MQ. 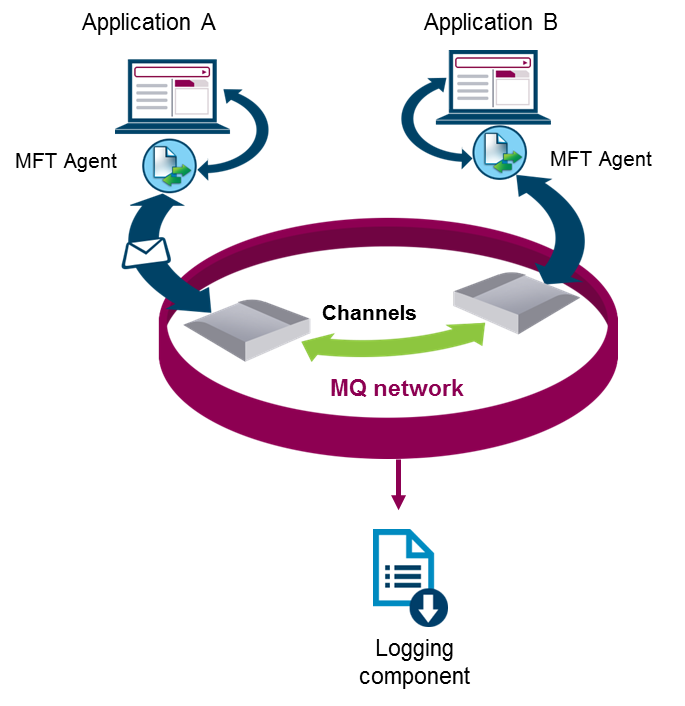 After initially using MQ MFT to move files, many businesses then take the next step to make use of one of the unique points of MQ MFT which is ‘file to message’ movement. As the file contents are moved as MQ messages, this data can then be directly consumed as MQ messages – meaning that the file contents don’t need to be written back as a file, identified, and then read in again. Instead the data can be delivered directly to the application as a MQ message. The May 26th announcement simplified the packaging and lowered the pricing for how customers could purchase the MQ MFT capability – either as an extension to existing MQ licenses or as part of the MQ Advanced bundle. 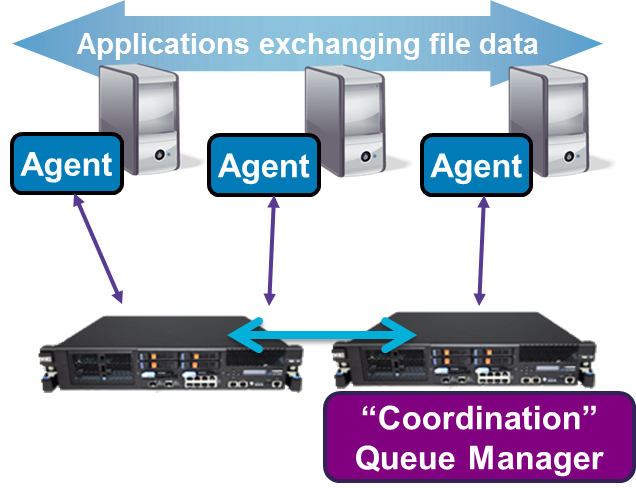 The MQ Appliance can also be a part of a MQ Managed File Transfer solution – acting as the co-ordination Queue Manager to allow the MQ MFT Agents to send and receive the file data as MQ messages. With more and more MQ customers choosing to use and deploy MQ MFT we are changing the packaging to ensure they can do this more cheaply by removing the Connect:Direct and Control Center products we had bundled in as they haven’t been used as widely as the MQ MFT capabilities. Don’t forget that if you buy the MQ Advanced offering you not only get the MQ MFT Service part but also the MQ AMS capability for end-to-end encryption. This has also been a hot topic of conversation with customers and if you want to know more you can read my previous blog about it here.